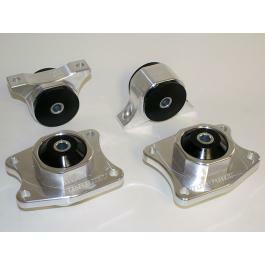 S2000 Billet Aluminum Diff Mounts with Polyurethane Bushings. The stock rubber bushings from the S2000 deflect under load which results in loss of kinetic energy applied from the driveshaft to the wheels. 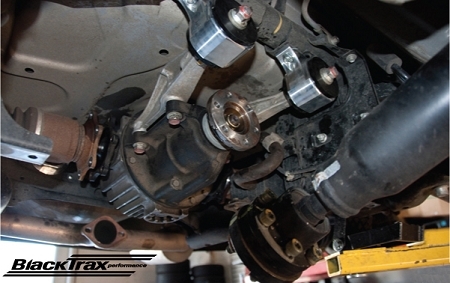 Upgrading these bushings allows for a more instant power transfer from the engine to the pavement. Faster response and less twist makes the car more predictable to drive. Choose from four durometer levels: Shore 62A, 70A, 88A, 94A. The 62A Street version does not induce chassis vibration. We highly recommend 62A for daily drivers looking to do this upgrade.